Each week in the pacific NW there are a million sports-related topics flying around, and since two of our best and brightest have severe ADHD when it comes to sports, we thought a fun lightning round would play right into their strengths, assuming they have any. Fireside Sports (presented by OSN) co-hosts Bryant Knox and Casey Mabbott were asked the following questions and were required to give their knee jerk reactions. Make sure to listen to the latest episode of their show each week for the full conversation. 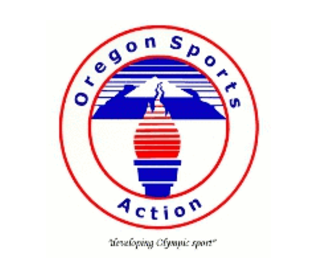 *Fireside Sports Podcast Coming to Oregon Sports News on Friday, Oct. 26! The Portland Trail Blazers are off to a fast start. Is this the real deal or are they setting us up again? (CM) Of course I like the fast start, but we’ve seen this before. It’s good to see Dame and CJ get rolling early, but they would be wise to save some energy and make some of the reserve players win a couple of games for them so they aren’t so tired in the spring and even better – they would know they can trust their teammates when it counts. Winning early is nice, but it doesn’t mean anything when the playoffs roll around. (BK) The fast start is just that—nothing more. 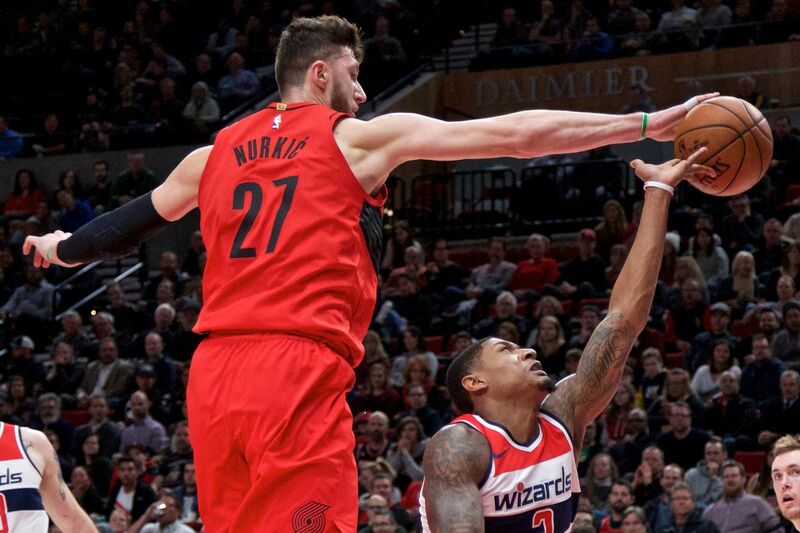 It was nice seeing Nik Stauskas channel his inner Sauce Castillo for opening night, Jusuf Nurkic is posting nearly 17 and 12, and Evan Turner has looked for stretches like the do-it-all guard/forward (albeit, non-shooting do-it-all guard/forward) who can actually run an offense as Terry Stotts staggers Dame and CJ’s minutes. But the loss to Washington in the young season’s third game also showed us that this group can’t just rely on Lillard’s last-second heroics. McCollum failed to put together a good offensive showing, and the team failed to respond accordingly. That will be a theme to watch throughout the year, and it’ll be what determines if early-season surprises are trends or fads. LeBron’s Lakers are off to a rocky start, and caused some turmoil over the weekend. Who’s side are you on – Paul or Rondo? And do you agree with the suspensions? (CM) It’s easy to go against Rondo especially when he puts himself in the ring when no one asked him to. LeBron was right to side with Paul – friend or not. Paul is notorious for getting under people’s skin and he shouldn’t have instigated Rondo, but Rondo forced it to blows, and that makes him an easy person to side against. Regardless of who you side with, Ingram is the real villain, amazing we’re even talking about anyone else. (BK) I’m with Rajon Rondo. Everything he said about Chris Paul is true. Paul, despite being one of the greatest the league has ever seen at his position, is saltier than the popcorn you were probably eating as you sat back and watched this ridiculous beef steal the show all week. But here’s the thing: If this isn’t the most perfect example of throwing stones in glass houses, I’m not sure what is. As much as I’m with Rondo about what he said, I’m so not “with Rondo” in just about any other aspect of his on- and off-court behavior. Let’s move on…until these two face off again Thursday, Dec. 13 on TNT. The Ducks put the final nail in their playoff coffin with a loss on Saturday. What will we see from them the rest of the way? (CM) Who knows. They played like a team that forgot they needed to win out the rest of the way to even be a long shot playoff team. At this point they need to just make a statement and move on, this season went from full of hope to just a year most people will forget. They must have run out of steam in OT against the Huskies. (BK) The hangover this past Saturday wasn’t shocking. Washington State is better than the media will admit; anytime you come off a big win, your focus must match or exceed your energy; the pass defense remains suspect at best. Oregon will continue to play tough, exciting football, because this group has one luxury: It didn’t realize how good it was when it started the season. If it had, maybe heads would be down and all motivation would be squashed. But these Ducks legitimately got better each and every week up until last Saturday. That progress was always going to slow down, but it’s also what will keep them trending in the right direction the rest of the season. The NFC West carries three games this week, Seattle @ Detroit, LA vs GB, and SF @ Arizona. Which game are you most interested in? (CM) Trying to find interest in the other two, but really I’m lying if I’m not instantly pointing out GB @ LA. If – and it’s a big if – Rodgers and company can keep up with the Rams, it should be a really fun game like the one we got a few weeks ago between the Vikings and Rams. If the Packers start off slow, it’s going to get ugly in a hurry. No interest in the 49ers-Cardinals game, and I’m only going to watch Seahawks at Detroit because I want to see if the Hawks can win another one on the road and go from unlikely .500 team to unlikely winning team. (BK) As long as the Rams remain undefeated, they’re going to have my attention. It just so happens that this week they’re facing Aaron Rodgers—that never hurts, either. If you could make one trade happen ahead of the NFL 10/30 trade deadline, what deal would you push through? (CM) Le’Veon Bell to Green Bay. Wait no, Jordan Howard to Green Bay. Mike McCarthy clearly doesn’t love any of his running backs, so why not make a deal for a guy that is clearly being phased out in Chicago. You have a spare 1st rounder, might as well make it worth something while Rodgers is still in his prime. (BK) This NFL season has been a bit strange in that we’ve seen multiple in-season (or in the case of Khalil Mack, nearly in-season) trades involving legitimate big names. Let’s keep that momentum going! I want to see Le’Veon Bell to the Philadelphia Eagles. No, I’m not a Philly fan. But I do love the idea of a back-to-back Super Bowl champion for the first time not named New England Patriots since the Denver Broncos in 1998 and 1999. Getting Bell to the Eagles, who lost Jay Ajayi for the year earlier this season, gets us one step closer to making that happen.